Is your brain connected to the universe at a quantum level? The recent discovery of quantum vibrations inside neurons in the brain supports a controversial theory of consciousness. If correct, it might lead to new treatments for many different conditions, it is claimed in a new review of the evidence by Hameroff and Penrose (2013). The theory–which implies the brain is connected to the universe at a quantum level–was first proposed in the 1990s, but it suffered extensive criticism. One major point against it was that the brain was thought to be too “warm, wet and noisy” for coherent quantum processes. Recent evidence, though, from researchers led by Anirban Bandyopadhyay has found the proposed quantum vibrations inside microtubules within brain neurons. These microtubules are components of cell scaffolding–they help provide our cells with their structure–that are around 25µm in length. 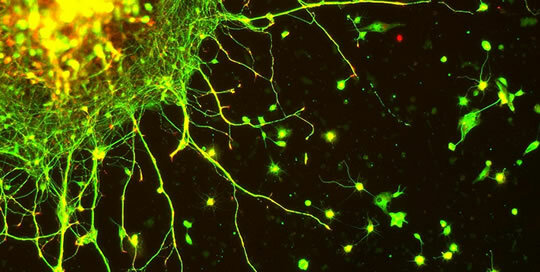 Other research has also found evidence of quantum coherence in living cells. It has been found in our sense of smell, in the parts of bird’s brains responsible for navigation and in plant photosynthesis. They also think that the electrical ‘brain waves’ which can be detected by an EEG machine could be a result of these deeper level microtubule vibrations.